Pause. Breathe deeply. Step back and look at the issue from a new perspective. 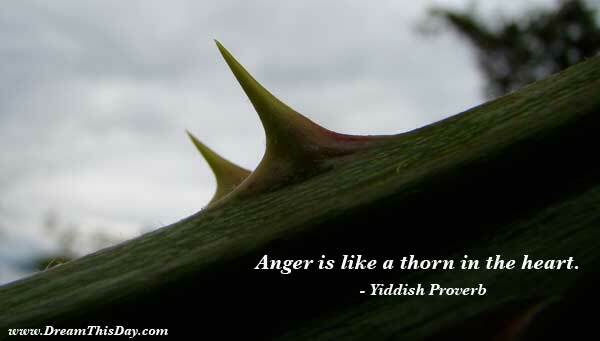 you are right that Anger is like a thorn in the heart. I read you profile you are brilliant writer plus brilliant phlosopher. Anger can be discttructing for you. I have written down all the quotes. It's the best essay written. New perspective for my thoughts. Yes Sir, that is right not only the thorn in the heart but it will ruin your day to day life...thanks for sharing from your intellectual properties.